I am the one who dies,and die out of love and glory. It's after a long time that i am writing and i realized the same when my screen blinked, indicating "wrong password", life was keeping me on a roll .I wan't to thank all those who have been there during my tough time and also those, whose best wishes were unconditionally there with me. I assure you all that I will continue taking wrong decisions,neglecting my health,become a workaholic...as i know i am blessed with people like you in my life.. 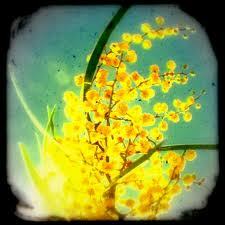 It's really great to see something new on this blog..
n 'Yellow Acacia' symbolizes secret love..i didn't know that..